Staying home this weekend? Maybe you're avoiding the dreaded Christmas traffic or you're just in the mood to lay in bed all day. Whatever the reason may be, there are plenty of awesome reasons to stay in and watch something new. Thankfully, there are plenty of streaming options that actually offer some of the newest Filipino films ready to be watched any time you want. Tony Labrusca made quite the impression over the past weeks when the trailer for ABS-CBN's latest offering hit the Internet. iWant's steamy new film is written and directed by Concepcion Macatuno and tells the story of Glory (Angel Aquino), a 52-year-old brain tumor survivor who falls in love with Niko (Labrusca), an adventurous guy 30 years younger than her. After two long years, director Erik Matti's P86 million action movie finally hit local cinemas and now, on Netflix! 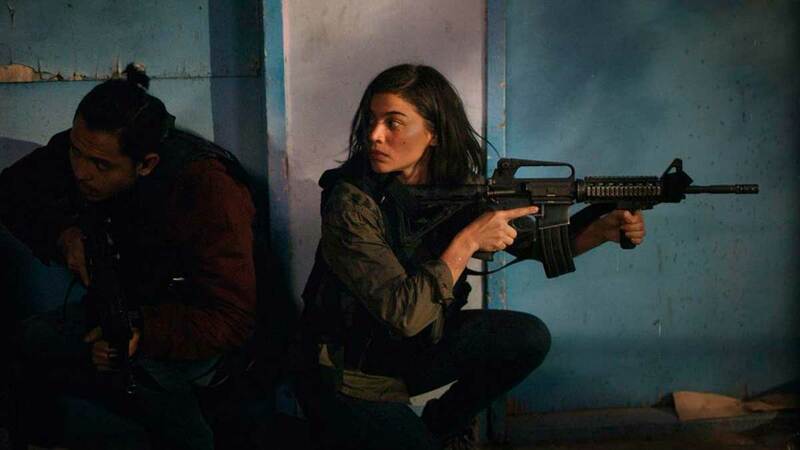 It stars Anne Curtis as Nina, a rookie police officer who joins an anti-narcotics squad tasked to find a big-time drug lord (Arjo Atayde) in a Manila slum. When the drug bust goes awry, Nina and her team must find a way to escape and fight back. Anne Curtis makes a second appearance on this list, this time as Aya, a waitress who works multiple odd jobs to make ends meet. She crosses paths with a customer, Sid (Dingdong Dantes), a successful stockbroker suffering from insomnia. Things get interesting when he hires her to keep him company during sleepless nights. In this rom-com, Julia Barretto plays Zoey, an ambitious go-getter determined to prove her worth, while Joshua Garcia portrays Joko, who's willing to do anything to get his family out of debt. They both compete for a coveted job as a personal assistant to a media magnate (Kris Aquino), but there's just one problem: The position is only open to women and gay men. In his desperation, the very straight Joko pretends to be gay and things get complicated when he starts falling for Zoey. Widely considered as their best and most mature roles to date, James Reid and Nadine Lustre play a young and reckless couple who fall in love way too quickly. As their relationship grows, they soon learn that they both have different paths in life and they quickly discover just how much they've changed in five years. Last year's runaway indie hit stars Alessandra De Rossi playing a Filipino tour guide living in Sapporo, Japan who goes blind after witnessing her fiance's infidelity. Enter Empoy Marquez's character, her next-door neighbor, who takes it upon himself to befriend her. Fidel (JC Santos) and Stella (Bela Padilla) have known each other since freshman year. Despite their wildly differing personalities, they form a friendship that lasts all throughout college. Fidel starts to fall for his friend, and the film follows all four years as he secretly writes poems for her and whether he finally musters up the courage to tell her how he feels.